Tip One: Use Excess Moisturiser/SPF On Your Hands | It’s always been said that you can tell a woman’s age through her hands (if you believe that) and we all know the effects of the sun cause premature aging. So, to try and combat that, I always rub in any excess moisturiser (with an SPF) or just normal SPF onto my hands. If nothing else, it leaves me with super smooth hands so if there’s extra benefits in there then that’s a bonus! 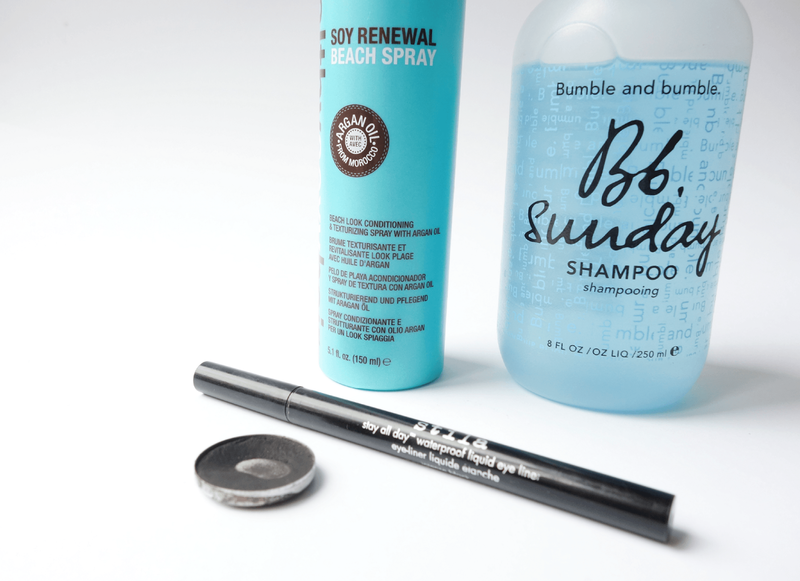 Tip Two: Black Eyeshadow Helps Keep Eyeliner In Place | Does your eyeliner smudge or fade throughout the day? Or does your eyeshadow (especially anything with shimmer) run over the top and make it less black than you want? Apply a little bit of black eyeshadow over the top. If you haven’t got an eyeshadow base, then it’s the next best thing to keep eyeliner in place and looking black all day. Tip Three: Quick Beachy Waves | A recent tip I discovered, as my hair is typically flat as a pancake, is to dry your roots, spritz your ends with lots of salt spray and tie in a loose plait. You can even blow dry the plait a bit so it dries quicker if you’re heading out somewhere. Once you untie it, you should have wavy, textured hair! Just spray in a voluminsing product at your roots, scrunch it all together and you’re done. Tip Four: Clarifying Shampoo Works Wonders | Investing in a good clarifying shampoo makes a world of difference to your haircare routine. If you’re using any shampoo/conditioner (cheap or expensive) and your hair is looking dull or you get that dreaded product build-up feel, then a clarifying shampoo removes all of that to reveal fresher, cleaner looking hair. My favourites are Bumble and Bumble Sunday Shampoo and LUSH I Love Juicy. Tip Five: Buff Buff Buff | Probably a super obvious tip, but concentrating on working your foundation brush in both clockwise and anti-clockwise directions makes such such a smoother finish. It really works the foundation into your skin, blurring imperfections and making pores less visible. I always concentrate on my T-zone and found it makes such a huge difference! Make sure you check out Manface – a beauty/skincare blog written from an expert perspective.